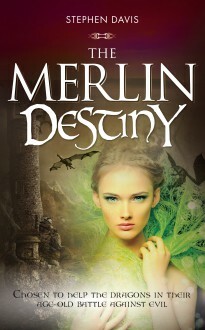 This book is the sequel to The Merlin Legacy, in which a young man called Peter unexpectedly found himself taking on a terrifying responsibility – witnessing the deeds of dragons in their centuries-long fight against evil, and contributing to the making of history. In this second and final part, the battle against the dark forces becomes yet more terrifying as Peter, his youth now spent, must find and recruit a successor to continue his work. As time runs out, he begins to realise that his own destiny is somehow bound up with that of a beautiful, magical woman who appears to have stepped from the pages of Norse mythology to become flesh in his own world. The Merlin Destiny will delight all those who believe there is more to the forces of nature and to life and death than science can tell us.